What Drove the GoPro Rally? 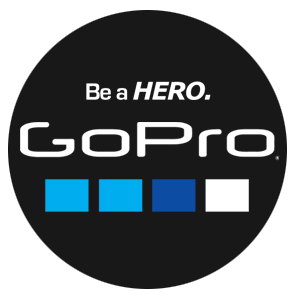 A recent FCC filing by Steven Kim, the Senior QA Compliance Engineer at GPRO, mentions an embedded GPS component in the GoPro Hero5 camera, and a supposed video clip from the Hero5 instruction manual shows an improved interface. Sports enthusiasts have been waiting a long time for the release of the Hero5, which was originally expected to be out in time for the 2015 holiday shopping season. The market reacted harshly when management announced the delays. However, when news that the FCC filing included apparent GPS capability, tech enthusiasts and investors alike have again become excited about GPRO stock. The current Hero4 model does not contain an embedded GPS module because GoPro engineers have been unable to remedy power drain issues. It would seem, however, that the problems have been solved. Additionally, the inclusion of GPS capabilities popping up in action sports cameras from competitors such as Garmin Ltd. (GRMN) and Sony Corp (ADR) (SNE) — which, by the way, has done nothing to improve their market share — was likely a motivating factor for management to further redesign the GoPro Hero5. There’s no telling if the rally for GPRO stock will continue, but the market’s reaction to the news of the improved GoPro Hero5 is substantial. It shows that investors have confidence in the company and are excited about future releases. So, even if GPRO stock gives back some of the recent gains, it’s still a keeper in my book. The real rally will come when management finally announces a firm release date for the GoPro Hero5. If it’s released in time for this year’s holiday shopping season, expect GPRO stock to surge significantly.